If you are looking for unlock code or master reset code for for your Samsung mobile, then you have come in right place. because we offer free Samsung unlock code and reset code service all over the world. I will request to all the readers of my website, please try to follow every steps of all the tutorial to get better results. how to master reset code Samsung mobile? how to reset setting of Samsung mobile phone? Method 1: Reset by code. Method 2: Manual reset setting. The security code will be reset to 0000. This will allow you to format the phone easily. then go to "privacy settings"
Now find out "Factory Data Reset" and click on it. Now your phone will display "Enter security code"
Enter your security code here. Please follow these steps below to Setting a Screen Lock for the First Time of your Samsung Mobile. Step 2: From the Home screen, go to menu or tap the Apps Key. Step 5: Now select one of them which you want. Note: If you select None, No lock screen is enabled so the screen will never be locked from use. How to Set Swipe Lock in your Samsung Galaxy Mobile? 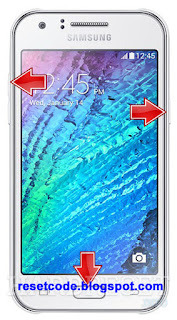 Swipe: This is the default Lock screen A swipe motion in any direction on the touch screen will unlock the screen. So this kind of lock cannot protect your phone. How to Unlock Pattern Lock in your Samsung Galaxy Mobile? Pattern: Pattern lock is the most secure lock in Android device. This system allows you to unlock your phone screen using a pattern. At first, you need to draw it with your finger. 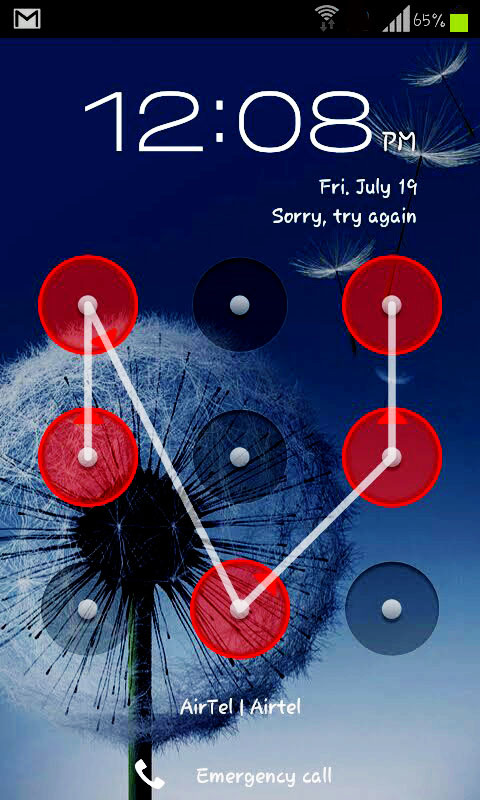 If it is the first time for you to set an unlock pattern, you will see a tutorial with instructions on how to do it. So at first, you have to follow the tutorial, and then tap Next Button. Finally, Draw your pattern (connect at least 4 dots) and tap Continue. Then redraw your pattern and tap Confirm. 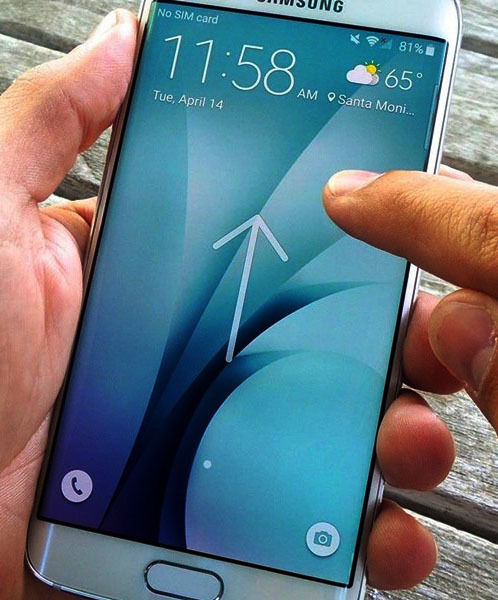 Now please follow the instructions carefully for disabling the Screen Lock of Samsung Mobile? Step 3: Go to Settings > Lock screen & Security. Confirm your unlock information (if necessary). How to master reset when you will lost your password? Step 1: Charge the battery of your Samsung Galaxy device. Step 2: Back up all data on the internal memory. Volume Up key, Home key and Power key. Step 4: When 'Samsung Galaxy appears on the screen, release the Power key but continue to press and hold the Volume Up key and the Home key. Step 5: When the Android System Recovery screen appears, release the Volume Up and Home keys. Step 7: Press Power button to select. Step 10: Press Power button to select and start the master reset. When the master reset is complete, 'Reboot system now' is highlighted. Step 12: Press the Power key to restart the device. Now you have successfully reset your Samsung Galaxy Mobile. Dear visitors, If you fill any kind of problems please write to me by comments, I shall try to help you as soon as possible to unlock code for Samsung phone. Please don't forget to share this post to your friends. If you have any questions about Reset Code, Ask me. I have a Samsung Captive Glide and it is lock to AT & T.
Can anyone help with the unlock code please. Hi I forgot my simlock code 4my samsung GT-c3222. Can you help me? SAMSUNG T-Mobile USA to use in Guatemala with Claro.. Thank You! Click here to know How to unlock code Samsung T139 T-Mobile? this really helps! thank you so much :) hope you'll continue helping others..
Can u help me unlock my phone ,my phone drowned and lose imei...i must pay for it or what? I have a Samsung A157 and it is lock to AT & T.
reset code for Samsung gt c3300????? I need a reset assist for my Samsung Galaxy S5. it locked me out of the keypad swipe option now it is asking me to enter my backup code. I cant rember that and only have 2 more chances before it does a factory reset and I loose all my info. Any one know the magic code? Hello from Tijuana, can you help me with mi litle Samsung SGH-A187, gracias por la ayuda amigo. The master reset code of samsung mobile phones, i like it. Could you please help me unlock Samsung Galaxys5. thangs again for the support. Hi, please code sim network for my Samsung galaxy s5 mini, model sm G800f. I want to know unlock code for Unlock Samsung Champ GT-C3303i..
Hi I'm IfeOluwa from Nigeria. IMPORTANT: WAIT for 1 minute after phone reboots!! IMPORTANT: Some phones DO NOT fully and permanently unlock! If the STEP 3 FAILS... and give error like "Inputs do not match" DO NOT RETRY anymore steps 2 to 4. Fortunately STEP 1 will temporarily unlock the phone on any "foreign" card until you ...restart/close phone. If after this temporary unlock phone close/restart...you need to make again STEP 1. Personally i failed at STEP 2 on a old Samsung GT S3100! Please help me unlock several of my Samsung phones. I have a Samsung galaxy,S4 Model-SGH-i337z, IMEI#-358010051207212, Samsung galaxy mega, model-SGH-M819N,IMEI-358865050121924. I would be so greatful for the unlock codes for these phones. Please write your phone name and model no, which phone you want to put unlock code. Please write your phone name and model no, which phone you want step by step tutorial on how to enter the codes. Hello... I forgot my phone lock for my Samsung GT- C3303i . Unlock code samsung for SM-G550T that is Samsung galaxy on5 T-Mobile . IMEI 358511070122217/03 . email is eseilegodwin1@gmail.com. please help, need instructions. thank you. Hello, I have 2 samsung flip phones that I need to unlock. Please help. Please write your mobile phone's name and model no quickly. Thanks for this valuable information "Master Reset Code of Samsung Mobile". I need your help to unlock my Samsung phone. Its on a password and I can't remember the password. You can try to find your model here. Thanks for this valuable post. "The master reset code of samsung mobile phones"
I FORGET PHONE PASSWORD OF SCH-E339 PLEASE HELP ME. all mates on the topic of this paragraph, while I am also zealous of getting knowledge. more about this subject matter, it might not be a taboo matter but usually folks don't discuss these subjects. your mind this web site and give it a look regularly. Thanks you very much for this effective tutorial. I have got my Samsung mobile 8 digit hard reset code here. Hello everyone, it's my first pay a visit at this web page, and piece of writing is really fruitful for me, keep up posting such content.